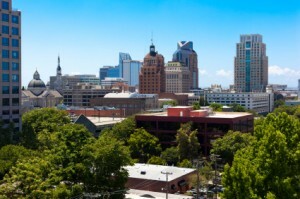 The Sacramento-Modesto metropolitan area is home to more than 2.5 million people. This sunny California market is the fourth largest in the state and in the top twenty-five of metropolitan areas in the country. Sacramento has long been a competitive market for attorneys looking to expand their case load and broaden their practice. Now, there’s an opportunity for one law firm to get ahead of the rest by using a memorable vanity number with a national reputation. Enhance on-going marketing efforts by pairing billboard ads and radio spots with an unforgettable phone number. Once leads start coming in over the phones and online, the law firm that joins the network will have exclusive control over the potential cases – enabling the attorneys to earn additional revenue by referring out leads to other firms of their choice. One of the largest geographical areas in the state of California, the Sacramento-Modesto area encompasses a large geographic range. The counties included are Amador, Calaveras, Colusa, El Dorado, Nevada, Placer, Plumas, Sacramento, San Joaquin, Sierra, Solano, Stanislaus, Sutter, Tuolumne, Yolo and Yuba. There are other geographical areas in California also available. ONLY ONE law firm or attorney can license 1-800-ATTORNEY in the California capital city. Don’t let a competitor secure a spot before you do. Contact a sales representative for more information about Sacramento’s geographical area and the benefits of joining 1-800-ATTORNEY. You can reach a Representative by phone at 1-800-704-3578 or by email at info@1800attorney.com.